Every year over 30,000 Americans are killed by gunfire. Every month, in public schoolyards, dance clubs, concert venues, work places and public gatherings, innocent people are slaughtered by assassins wielding legally purchased high powered semi-automatic weapons. The National Rifle Association (NRA), a 3 million-member organization, supports and sponsors free and easy access to military-level weaponry. The vast majority of US legislators, Presidents and judges support the possession of the very weapons responsible for massacres. The question is why does the US political system bemoan the frequent occurrence of mass shootings, and yet turn around and endorse the political process that makes these killings possible? The size, scope and duration of massacres requires that we examine the large-scale, long-term systemic features of the US political economy. The US government has engaged in multiple bloody wars where it has massacred millions of civilians – including whole families in their homes – representing no conceivable threat to the American people. The wars feature the success of destruction and death as a means to advance US political programs. War criminals are honored. Domestic political conflicts and social problems are resolved by destroying invented adversaries and entire nations. In a political economy where overseas massacres are perpetrated by democratically elected leaders, who is to question the behavior of ‘a neighborhood sociopath’ who is merely following the practices of his president? This should surprise no one: Wholesale massacres abroad, fostered by our leaders, are reflected in the domestic retail massacre unleashed by the local ‘nutcase’. Everyday, at every hour, on every media outlet, guns and slaughter dominate the minds, thoughts and fantasies (or nightmares) of viewers, especially the millions who absorb ‘the message’. Films, TV programs and computer games are saturated with conflicts resolved by guns, killing victims – whether police or civilians. Problems are solved through violence. The message of the mass media is that victories come from mass killings. Wars and killings are portrayed in a wide variety of settings: Homes, public buildings, public schools, workplaces, streets and plazas. If wars and massacres are essential in this political system, the mass media ensures that it permeates and normalizes in the minds of the masses. To confront the epidemic numbers of mass shootings, changes in the political economy are essential. Replace the policies of imperial wars with the promotion of diplomacy, negotiations and peaceful resolution of conflicts. Replace the mass media gun culture with cultural values of solidarity and safe, publicly engaged communities. Replace the mania to possess military-level weapons among civilians with a vision of one’s life built around a healthy environment shared among socially engaged neighbors. 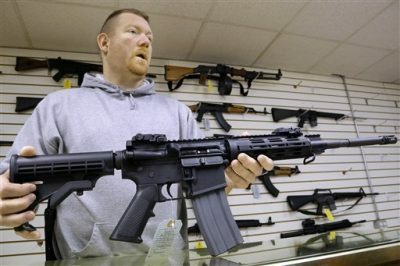 Outlaw or regulate gun clubs and militias – abolish the sale of military-level weapons used in these massacres. Guns used for marksmanship and hunting are separate from the weapons of war used to slaughter dozens of small children huddled in their classroom. President Trump proposed to arm school teachers as a ‘solution’ to school massacres. This is a bizarre alternative that will only exacerbate the spread of weapons, encourage more shooting and massacres, undermine the role of teachers as educators and create new ‘role models’ for would-be assassins. Trump’s proposal also underscores his administration’s profound contempt for the role of public education and public educators in building a healthy society. His tendency to blame the victims…’if only the teachers were armed…’ shows the grotesque Social Darwinism inherent in his ideology as he seeks to utterly destroy the public sector. The children of the elite and politicians do not have to attend their French or calculus classes taught by armed teachers. According to the logic of Trump and the political and business elite, armed shootouts in the public school class rooms merely underscore the need to dissolve the Departments of Education at all levels, as well as all public services in this nation. Teachers should be able to focus their work on educating students to become productive, competent citizens who prize community and cooperation over weapons and war. They should graduate students who can critically evaluate the role of the mass media in promoting violence. They should provide their students with the civic skills to mobilize against political leaders who have accepted bribes (‘donations’) from death cults, like the NRA. Community organizers can boycott businesses that provide political and material support to the war mongers, militias and other gun-toting extremists to stop the violence. National legislation should be passed, limiting firearms to very specific areas and events, like shooting clubs or hunting. Individual gun owners should be licensed based on strict psychological criteria and renewal of license should be frequent. The US military must inform local civilian authorities of any criminal violent behavior of its discharged soldiers; they cannot just release a ‘ticking time bomb’ into the civilian population they are sworn to protect. Mental illness is a public health issue and public funds for hospitals and facilities to identify and treat individuals should be increased. The mentally ill should not be warehoused in and out of the jails or dumped on the streets. Gun dealers and gun shows should be regulated and forced to follow procedures or face penalties. Hunters should use weapons appropriate to the game they are shooting. Semi-automatic firearms are not appropriate for hunting deer, rabbits or turkey. Semi-automatic weapons are used for hunting and killing human beings, including unarmed children in their classrooms. Cultural, political and economic changes can take place over time but require mass sustained struggles. In the meantime, short term reforms that regulate and reduce the frequency and fatality of local massacres should be implemented. The scenario where police cordon off the site of a mass shooting , preventing medics and ‘first responders’ from entering quickly to stabilize the wounded, while protecting themselves – a process that may take over an hour and lead to avoidable deaths by treatable blood loss, has to be exposed and rectified. ‘Golden minutes’, the time when injured victims can be stabilized by routine emergency measures and transferred to higher level facilities for life saving surgery and replacement of lost blood, are being wasted while ‘SWAT Teams’ gear up and ‘secure the perimeter’ through a choreographed series of maneuvers to ensure ‘force protection’ (a euphemism for protecting the police). The horrendous rate of mortality in these shooting, 100% of the young victims at Sandy Hook Elementary School, is a scandal – especially in view of the silence that followed. Clearly the local and state coroners and police are covering up information regarding the role that preventing the rapid entry of emergency medics played in such high mortality. Independent investigation of this deliberate police delay in providing life- saving care should be a priority. Virtually all school massacres have been committed by individuals known to the police or community for erratic behavior and domestic abuse. 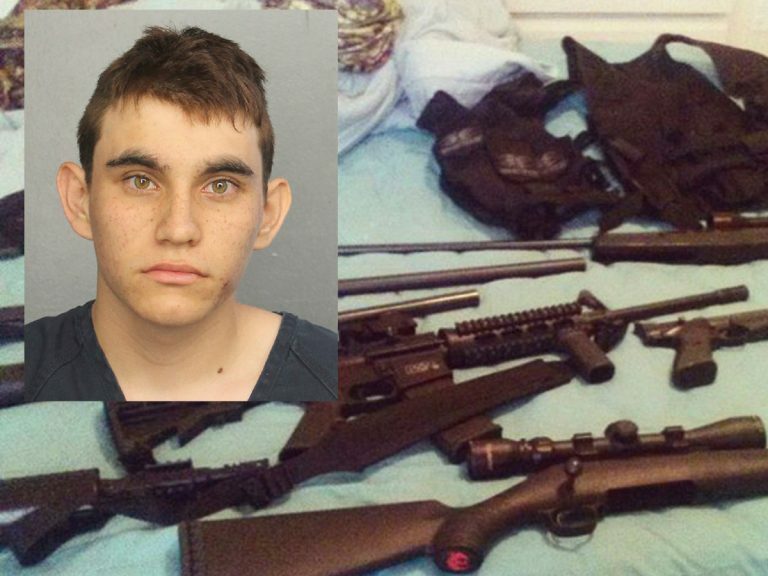 The local police or family knowledge that these demented, homicidal individuals had access to military level firearms and did not act on repeated complaints requires independent investigation at the state and federal level. Laws and statutes regarding preventative hospitalization or detention of such unstable abusers must be enforced. There should be a national commission to investigate the state of mental health treatment resources in the US. It is long overdue. Rather than demanding that school teachers arm themselves, quality mental health facilities at the state and local level must be established. It is not enough to merely warehouse the mentally ill in the local jails for misdemeanor offenses and then discharge them back into the streets without support. Public schools and teachers must be supported. The decades-long policy of undermining basic public services, like public education, in favor of ‘school choice’ – a euphemism for privatizing education – and making education a privilege for the wealthy rather than a right of free citizens – must be reversed. Rather than one lone teacher in a classroom (preferably armed – according to President Trump and the NRA) with forty students, each classroom should have three competent teachers working together to ensure that the students are advancing in the various subjects necessary for their future as free and productive citizens. It is a scandal that the US Department of Education and its Secretary of Education have been absent and silent following the frequent school massacres. However, it is not surprising, considering the priorities of the upper officials of the Department of Education who come from the elite, and, in the case of current Secretary Betsy DeVos, from the billionaire class. They have never entered a public educational facility. Their children are either ‘home-schooled’ with private tutors or attend elite private academies. Their policies in undermining public education reflect their ideological hostility to the entire notion of public welfare. Trump’s blaming the school teachers for being unarmed in their class rooms shows most clearly his own contempt for public education and the working and middle class families who entrust their children to the public education systems across the country. These events occur in the public space, a space once trusted and free to all free citizens – public schools have been the foundation of providing for a free and productive citizenry. It is no accident that mass school shootings take place exclusively in public schools. The worthy children of the elite are safe in their fortress-like homes and highly selective private schools. Their highly qualified teachers are free to teach, unencumbered by concealed weapons or any disruption by any ‘active shooter’ drill. These children have guaranteed futures. The situation for the children of the working and middle classes is far more uncertain. Access to quality education is no longer a right and a duty for free and productive citizens and their families. At most, youth may have ‘access to educational loans’ at usurious interest rates that fetter them to decades of debt peonage, while the students from the wealthy classes are free to pursue their careers and develop their talents. As the deterioration of future prospects for the US youth continues, with the massive shifts of national wealth to the elite, these massacres, as well as suicides, deaths from overdose and domestic and overseas wars will only grow. There is a sociopolitical context in which this occurs: deliberate decisions made at the top spawn horrors and mayhem at the base. There is a class basis for the nightmares gripping working and middle-class parents, teachers and students across the country. Security, quality education and quality health care are increasingly the private, exclusive domain of the elite. The elite-driven policies, starting with the reign of President Ronald Reagan, have engineered the breakup of public mental health facilities and the mass release of unstable vulnerable, as well as violent, citizens into unprepared communities. Those who suffer from the consequences of these policies mean nothing to the elite political classes – except for photo-op funerals. Elite-driven policies, implemented under the bi-partisan administrations of Presidents Bill Clinton, George Bush, Jr., Barack Obama and Donald Trump, are furthering the agenda of shredding the public sector and privatizing the wealth and institutions of the nation. The massive lowering of taxes, under the tax bill passed by Donald Trump represents an over one trillion dollar wind- fall for the investor class (finance elite) at the expense of the public institutions and safety nets serving the working and middle classes. The increasing incidence and the location and identities of the victims of mass shootings are not random: They are class-defined and reflect the loss of citizen power. The winners in this class war from the top will shed crocodile tears at media events while privately ridiculing the victims’ families for relying on public institutions. The decisions, made at the top, which have given birth to this epidemic of mass public school shooting, as well as the parallel epidemics of suicide and overdose among the working and middle classes, have immensely benefited the elite. The billionaires and the donors to both political parties have no incentive to reverse course and implement reforms or policies designed to bring back citizen rights and the public space. Only the friends, families and neighbors of the working and middle-class victims, those who are secretly viewed as ‘losers choosing to send their children to public institutions’, can unite to change this and bring back social and economic justice to honor the innocent dead and offer a just and dignified future to their children. It is not a matter of arming teachers, or of wrapping small pupils in ‘bullet proof blankets’, while the elite blame us for our suffering from the safety of their mansions. Understanding the class basis for this crisis will help form the foundation for real solutions.